This photograph was taken at 12:34 a.m. on July 8, 2015. At that hour, sunlight is reflected off the tilted windows of the building in the foreground and also from some of the background buildings. Cite as: Campbell, Sandy. 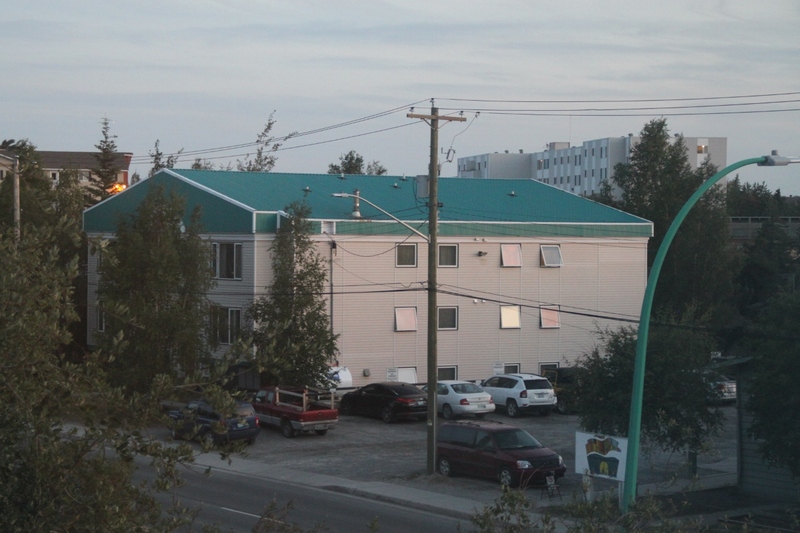 Midnight Sun - view from hotel on Franklin Avenue, Yellowknife, NWT, 2015. Photograph. University of Alberta. Education and Research Archive.